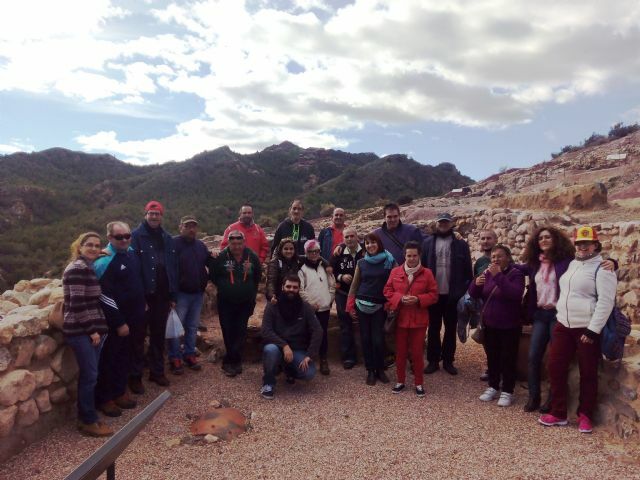 Totana.net - The Day Centre for Persons with Mental Illness organizes a guided tour to the archaeological site of "La Bastida"
The Day Centre for Persons with Mental Illness organizes a guided tour to the archaeological site of "La Bastida"
And professional users of the Day Centre for Persons with Mental Illness Totana City Council enjoyed a special day, during his scheduled visit to the archaeological site of "La Bastida" one of the most important European prehistory. They were welcomed and accompanied at all times by a guide who was leading them by the environment of the site. During the tour, they had the opportunity to visit the archaeological remains of this town, who lived 4000 years ago in our lands and treasure a huge amount of knowledge about our past. They could wander through the remains of what were buildings, defense walls or cabins in your day and learn about what her life, work, the instruments used ceramic, metal and bone. They were amazed specially by the remains of their tombs, shaped jars that were under the houses. An instructive journey that is part of the program Using the Knowledge Community and the environment, where important therapeutic goals such as social skills, integration and use of leisure and free time in a healthy way is working.